Parks Planting Day - you're invited! please help PLANT to finish the job! 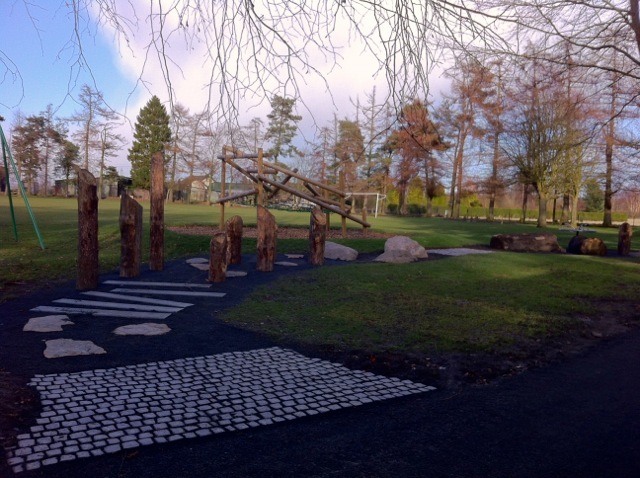 Help Abernethy Environmental Association plant 300 grasses & shrubs round the new sensory pathway (see above photo) - the final stage of Powrie Park improvements and your chance to create a sensory garden for all. Outdoor clothing and warm boots recommended. Please bring gloves and a spade/trowel if you have. Pavilion will be open for toilets & tea only. NB this event follows the Pavilion Coffee Morning & Easter Egg Hunt (10.30 to 12.30) – so come prepared to play in your parks all day!